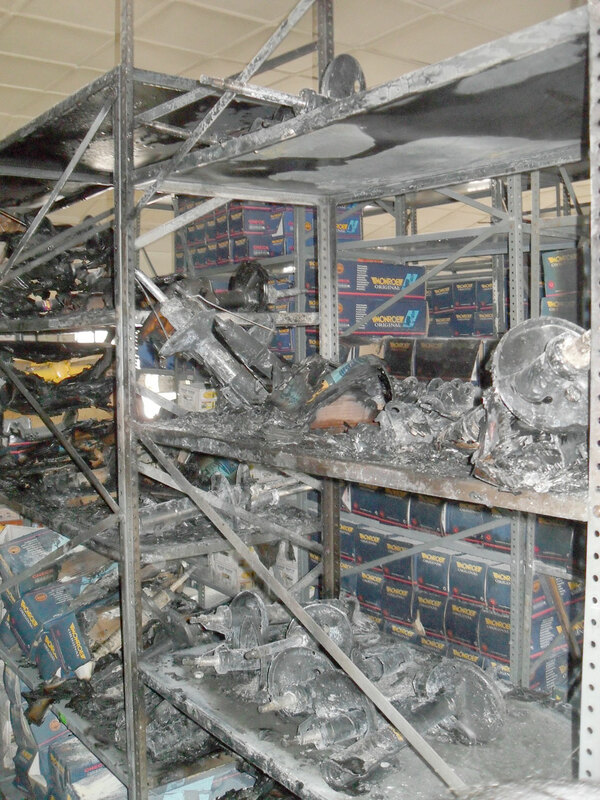 Fire erupted in the upper flat of Ramchand’s Auto Spares, at 51 Sheriff and Duncan Streets, Campellville yesterday, destroying a quantity of vehicle shocks and motor spares. No one was injured in the fire but sources disclosed that upon investigation of the fire scene matchsticks were found by firemen, and an investigation based on arson is pending. The proprietor of the store, Ramchand Ragoobir, said that staff personnel heard the sound of something exploding on the upper flat of the entity. Checks revealed that there was a fire. He said the fire service responded quickly but staff members had already begun to fight since he has a pump, hose and other fire fighting equipment at his business establishment. When asked to estimate losses, Ramchand could not. However, another company official suggested that losses could be in the vicinity of $1 million.